About - Ferrari Barber & Coffee Co. It all started in the 50's! The original owner Bruno passed it on to our grandfather Emilio whom followed his brother Fausto to America for a better life and success. Originally from Calabria, Italy, the brother's both worked as barbers in this small shop on Garfield Place in the heart of downtown Cincinnati. Little did they know they would continue working in the shop for over 50 years together. Fausto and Emilio came from the same roots and kept it that way for years. 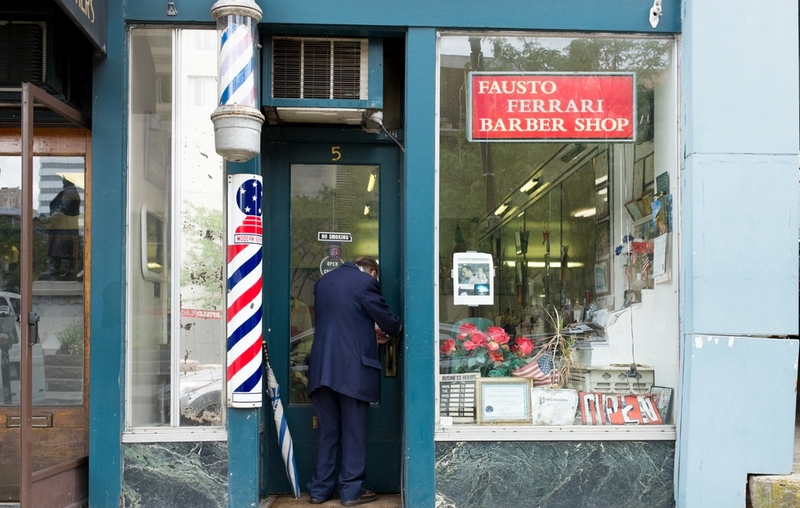 The barber shop, originally called "fausto Ferrari Barber Shop" was a stomping ground for the two and the locals in Cincinnati. Lots of history and memories packed into this place and that is why we want to preserve it all and continue our family legacy. Ferrari Barber & Coffee Co. was started in 2017 by brothers Tony and Austin Ferrari. Both grandsons of Emilio Ferrari, and great nephews of Fausto Ferrari. we grew up getting our haircuts here and frequently stopping in for lunch and small chats. We hope to keep it around for another 50+ years. Come down to talk shop with us soon!